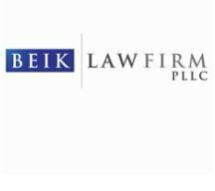 Beik Law Firm, PLLC, is passionate about protecting the rights of individuals and businesses who have invested time, money and imagination into developing distinctive trademarks, copyrightable materials, and business and technological innovations. Located in Houston, Texas, we help clients throughout the Houston metropolitan area in establishing and safeguarding intellectual property rights related to trademark, copyright and trade secrets. We also offer aggressive representation to small to medium-sized businesses facing litigation matters in state and federal courts. Our firm founder and principal attorney, Paul S. Beik, is a straightforward and practical lawyer dedicated to exceeding expectations and helping our clients achieve their goals. He has extensive experience litigating complex cases at all levels of the judicial system, and he has garnered a notable track record of success both in the courtroom and at the negotiating table. Mr. Beik has also been recognized by Texas Monthly magazine as a "Rising Star" in its Super Lawyers edition, an honor bestowed upon the top 2.5 percent of up-and-coming Texas lawyers. At Beik Law Firm, we help people protect the rewards of their imagination, investment and innovation. We are deeply committed to providing clients with insightful legal representation, coupled with the individual attention and close communication that is unique to a small law office. Take the first step toward protecting your creative ideas and business investments. Call Beik Law Firm at 281-407-9488 to arrange a complimentary initial consultation.